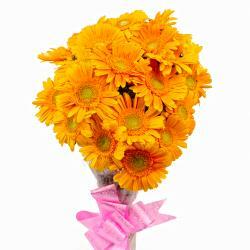 Product Consist : Basket arranged with 60 Mix Flowers like White Roses, Yellow Roses, Red Roses, Purple Orchids with green leaves. 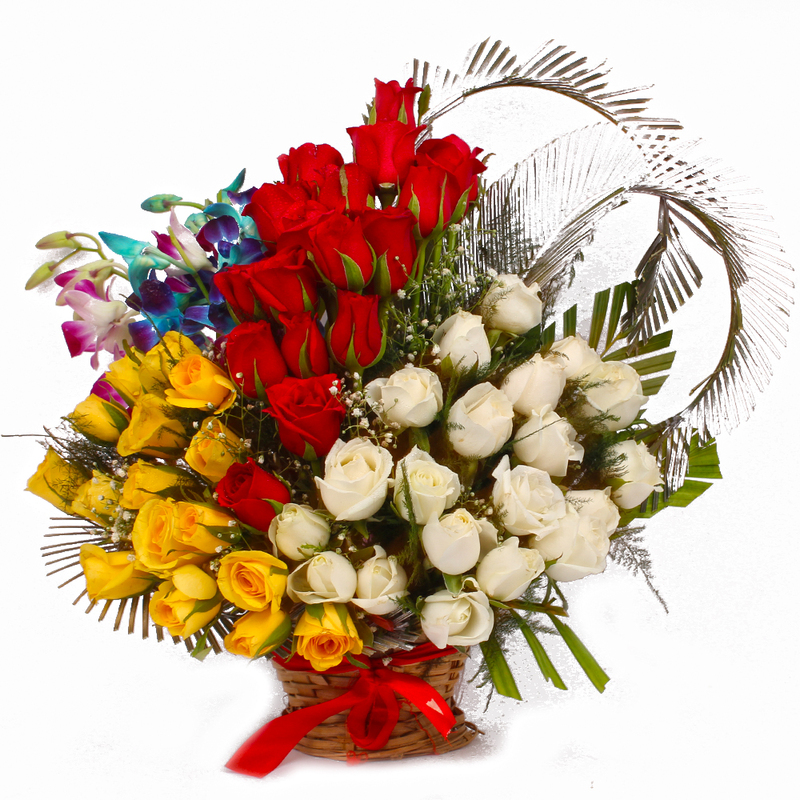 An assortment of colorful Roses and Orchids stunning in basket for the one you love. 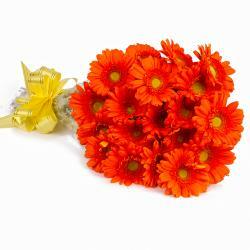 Enchant your special person by sending this beautiful arranged in India. 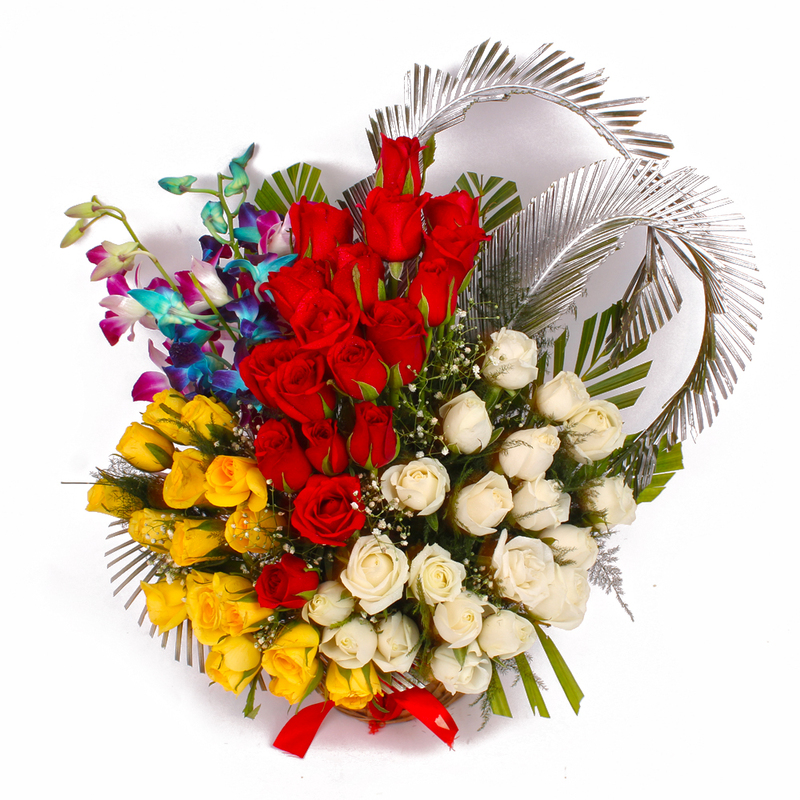 Send this awesome assortment of different colored roses and orchids like foilage with gypsophila and greens. 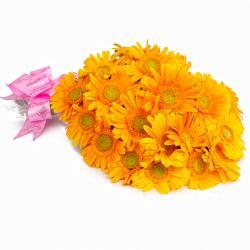 This garden fresh floral basket arranged you can gifted at any occasion like Birthday, Anniversary, Wedding, Bhaidooj, Mothers Day and many more. 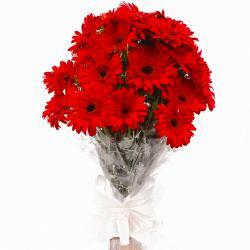 Product Contains : Basket arranged with 60 Mix Flowers like White Roses, Yellow Roses, Red Roses, Purple Orchids with green leaves.